Alright so I am incredibly behind in my updates to this blog. I only updated this twice last year! That is not good. Really I like having the write up with photos for myself so that is why I am going back and updating with all our old adventures. So to start I have to go back over a year to my cousin Danielle's visit in Oct 2013. I was super excited to have a few days to spend with her. She was studying in Rome and came up on a break and we had so much fun! It was really nice seeing her again. She came on the last day of the festival of lights - a festival every October where they shine fun lights or video on prominent buildings in Berlin. Raymond and I had checked it out the weekend prior and it was just so so. 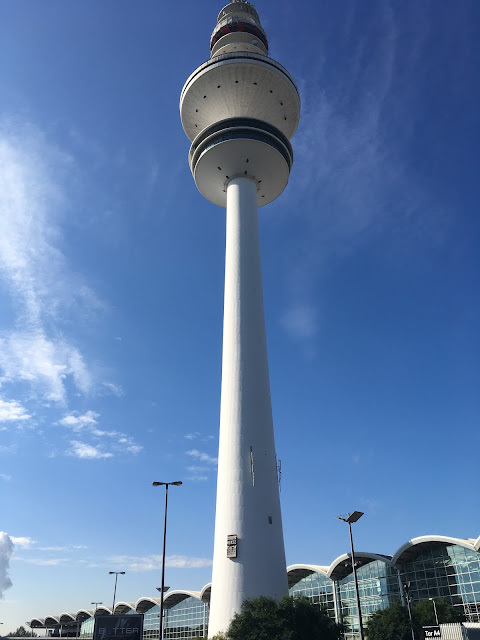 We figured it got us out and about and you can walk from Alexanderplatz to Brandenburg Gate and see all the fancy buildings so why not? Well the night Danielle was here it was way better and we had a lot of fun. The building in this photo is the Radisson Blue Hotel (Heather this is the one with the aquarium I believe) and the lights flowed around the building in different patterns. Sometimes fish would 'swim' across the building, sometimes just different colored lights would go across, etc. Fun times. There is also the TV tower to the side, but I was disappointed in the lights they had on that. Next up the Berliner Dom (Berlin Cathedral). This had lots of fun patterns projected on it, rotating every 15 seconds or so. They also had classical music playing from speakers near the back of the lawn in front. The German Historical Museum - this was a static light display. The next ones are from Gendarmenmarkt - apparently the most beautiful square in Berlin. There was noise music playing that the lights seemed to react to. My favorite of the evening was the Hotel Adlon - the fancy pants hotel by the Brandenburg Gate. They had a really awesome video that played where it looked like the windows were moving around and stuff. It was really cool. And last but not least the Brandenburg Gate. This had photos projected on it and some video. Like the one video had cans of paint at the top of the columns that would tip over and the paint ran down them. Or machinery or little people running around. Just lots of fun things. The next day we checked out the free tour of Berlin. I had had it on my list of things to do just to see how it was. We both really enjoyed it. I learned a lot about the city and it takes you by a lot of the main sights you would want to see. It starts at the Brandenburg Gate. Then we went by the Memorial to the Murdered Jews of Europe which was interesting. The guide talked about the memorial and there was some controversy surrounding it and such. All interesting stuff to learn about. We also went by where Hitler's Bunker was which is just a parking lot and a playground for kids and such. It is nothing, just a normal area of the city and the guide explained why that was and such (they don't want a place for people to come and celebrate Hitler at so they just destroyed the bunker and now it is just where some apartments are and the parking for them and such). We went by the Topography of Terror, which for the longest time I thought was just this outside part which has the remains of some of the SS buildings, and the Berlin wall at the top. When my friend Gillian came to visit we went into the building there and man, that is a very well done display that was really hard to read through and look at. It is just all about the Nazi's and the people in charge and how they came to power and showed all these photos of like the leaders of the camps vacationing nearby, having picnics, etc. while people are suffering not that far away. I only made it through half of the exhibit before everyone else was ready to go so I still need to go back and finish going through there. Really interesting, but horrifying and really depressing. We went through a lot of other places and learned a lot, but I apparently did not take photos of them so I don't quite remember everything we saw. We did end in Gendarmenmarkt, the most beautiful square, and it was nice to see it in the daytime. After the tour we went to get some food and over to spy on the Reichstag, and when we got back to the Brandenburg gate it was all closed off and there were a bunch of people waiting for something so we waited to see what would happen. It was interesting just seeing the area in front of the gate so empty as there are always people there. We waited forever and then a group of people came by to the Hotel Adlon. It was like the minister of finance for the European Union and other people like that. Fun times! After that excitement we went back to Gendarmenmarkt to spy on the French or German cathedrals (they look basically the same from the outside - that is both of them in the photos above), but unfortunately they were closed the day we were there. And the Concert house is in between the two cathedrals. It is a nice square, especially for Berlin. We headed over to stop at the DDR Museum next and on our way stopped to check out some of the portrait exhibition of the people who were marginalized or persecuted for their views or artwork which was considered to be "Un-German". Then we explored the DDR Museum which I really enjoy. It is hands on so you can touch everything! None of this just looking. There is a room of a house set up in the one corner with a phone you could listen to things on and just a ton of information. Also a Trabant which is tiny! They were the cars of East Berlin. The next day, and last day of Danielle's visit, she wanted to go on the tour of Sachsenhausen concentration camp. We had not been up there yet, and really I was happy to do whatever she wanted to do. Our tour guide was amazing and really took you through everything from how the Nazi's came to power through to everything that happened at this camp and others and just so much information. He spoke a lot about all the psychological ways the Nazi's were able to keep the inmates in line and keep them from ganging up on the guards and forming alliances and escaping and such. All really really interesting and a lot of information I wasn't aware of. He also did a good job of sharing some more lighthearted stories so it wasn't just incredibly depressing for hours. At Sachsenhausen there was a prison inside for political leaders and such, people who they didn't want in with the general population because they could cause issues and help people band together and such. One guy was in this prison within the prison was Mad Jack who sounded like quite the character. He escaped and tried to walk to the Baltic Coast, but was captured again just a few kilometers shy of his destination. He really walked all over and after the war in mainland Europe was over he went to the Pacific to continue fighting and was upset when the war ended as it could have just kept going. He sounded a little crazy, but interesting and stories like his helped to get through everything else. The boot testing area - this sounded terrible! Not that other things weren't, but they made people run with super heavy packs until they pretty much died. It was really an interesting, sad day but really informative and our guide was amazing. I am glad we did the tour with him as I learned more than I would have on my own and it was nice to have someone to answer questions and such. After that we went and got some foods with Raymond and tried to have a happier evening! We had a really nice visit with Danielle!